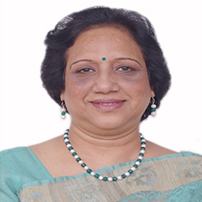 Jayashree Srivastava is the founder and MD of Ishan Vidyaprep Pvt Ltd. Vidyaprep is an innovative consulting firm focussing on curriculum development, professional development of teachers, personality development of students and preparing young aspirants for success in top international universities. Development as a motivating educationist: My journey into the path of academics and touching lives of young people began in 1981 when I went to a school for my son’s admission. The Director, Shri M.N Kapur, founder Principal of Modern School, New Delhi, a very unique and reputed educationist asked me in the interview of parents ‘why have you wasted your degree?’ On the spur of the moment I immediately replied ‘give me a chance and I will work in your school’ I said this despite the fact that I was already in a successful boutique business making designer clothes. He immediately gave me an application form which I filled and within a day, I was appointed as a teacher in his school. Very soon I realized that being in the midst of children and facilitating their learning was my calling. Mr. Kapur saw in me the spark of a teacher he envisioned, somebody who can motivate and explore the potential of each child and took me under his wings. In a very natural way, he started mentoring me about effective strategies in the classroom, motivational techniques, student-teacher relationship and the value of preparing young people for life. I moved from strength to strength as a teacher, House Master and then Head of Department, equipping children with life skills and making them life-long learners. Soon this became a passion with me and since then, I have moved in this direction no matter what the domain of my work may be. Today, I can say with pride that young people whom I have closely mentored are not only top scientists, bankers, artists, corporate professionals, businessmen but also famous designers, musicians, sportsmen and dancers. At this stage, I would like to share some of the basic tools I have used as a teacher, coach, admissions consultant and trainer to enrich the youth not only of India but of several countries in the globe. Love, motivation, acceptance of individual strengths and limitations and patient handling of young people have helped me to guide them in the appropriate direction always giving due emphasis to sound values and ethics. Progression into international education: Having established myself as a good teacher and HOD, I received an offer from The British School, New Delhi in 1990 to launch their ‘A’ level programme. Seeing the opportunities of exposure to international education and career enrichment, my Director encouraged me to move on in life and I joined The British School which had the Cambridge international curriculum. Though a completely different curriculum from the CBSE, with effort and focus I was able to adapt both to the curriculum and culture of this school because of the sound foundation laid by my Guru, Mr. M.N. Kapur and my exposure to international education as a Fulbright scholar. Earlier in 1989, I was selected by USEFI to study at Temple University, Philadelphia as a Fulbright scholar through a stiff selection process. The education pattern and frequent staff development programs which I participated in India and abroad further enriched my abilities as an educationist. Evolving as a student-centric teacher: I have been convinced that classroom strategies should be student centred rather than teacher centred, relationship between teachers and students should be based on respect and motivation and the effort of every academician should be to develop young people into life-long learners. Equipped with these thoughts, I soon started spreading my ideas through articles and training of teachers. In the British School, I became the Head of the Social Sciences Department and was elected as the teacher representative on the Board of Governors for two terms. In both these roles, I became actively involved in policy making and key administrative decisions. As the HOD, I supported the launch of the IB program in the school and continuously guided members of my department to help students achieve outstanding grades at IGCSE, A level and IB examinations. As member of the Board of Governors at The British School, I played a key role in decisions related to policy, human resources, finance, curriculum planning and other issues of strategic and managerial importance. This together with other valuable learning and experiences over 27 years helped me to launch my own venture and make a success of it. Educational Entrepreneurship with the objective to touch many more lives: despite a successful career in a prestigious academic institution, in the year 2008, I decided to step out and embrace a path where I would have the opportunity to touch many more young people in a multi-faceted manner. This saw the birth of Vidyaprep, an organisation which prides itself in preparing young people for life. As the founder and MD of this organisation, my key focus is on giving young people a suitable direction, making them life-long learners and creating wealth in terms of human resource for the society. I successfully profile and guide young people for undergrad and graduate admissions in top-end overseas colleges and Business schools and facilitate learning of students, often from the lesser privileged sections of the society. In addition, I consult in reputed schools of Delhi advising them on key aspects of education, conduct professional workshops on core competencies like communication, leadership and team-work, write widely on learning strategies, curriculum development and role of skill development in education, speak at conferences in India and abroad covering a wide range of issues including parenting, future of the youth and women empowerment. In continuation of my effort in international education, I advised CBSE on the development of a history curriculum for their international program termed CBSE-i and conducted a workshop of 25 participants to initiate the launch of the new curriculum at Dubai. In recognition of my efforts, I have been privileged to receive the Femina Women Super-Achiever award in February 2017.The above multi-faceted contributions for the enrichment of young people have not only given me great satisfaction but also been recognized by various national and international organisations. Since WEF is a unique organisation that recognises ordinary women who do extraordinary work, I feel encouraged to send you my story for your consideration.